CNN’s Ryan Smith on Monday highlighted an upcoming trial in Florida that is eerily similar to the Trayvon Martin case. In both cases, an unarmed 17-year-old black male was left dead. Michael David Dunn, 45, told police he shot and killed Davis at a gas station last year because he feared for his life. Dunn had told Davis and his friends to turn down their loud music. He claimed the situation escalated and the teens began threatening him. Dunn started shooting because he thought they had a shotgun. “It was either a barrel or a stick but, sir, they’re like we’re going to kill you and then they said, ‘you’re dead [expletive removed].’ What I should have done was put the car in reverse, but that shotgun come up or whatever it was – fight or flight – and I don’t think there was time for flight at that moment because I was going to get shot,” he told police. Dunn fled the scene, but was arrested the next day. 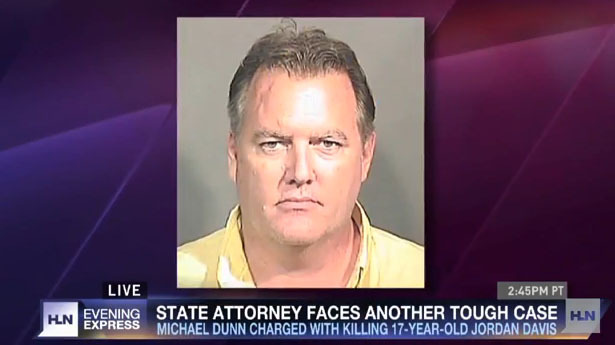 Dunn, who faces a first-degree murder charge and three attempted murder charges, plans to invoke Florida’s controversial “Stand your ground” law in his defense. The law allows gun owners to use deadly force without the “duty to retreat” first if they feel their life is endangered.